In this age, getting the time to sit down in the comfort of your couch and watch TV shows and movies on your TV is something that we don’t get to enjoy often. Entertainment has therefore shifted and put more focus on our mobile phones, which are our best buddies never get left behind. If you are a TV show and movie enthusiast, then you’ll second me in this. The best ways to enjoy watching your favorite TV shows and movies include using your smartphone, with so many apps developed to that effect. One of the best at that is Terrarium TV. It is a superb app that allows you to stream TV Shows and movies each with 1080p quality, straight from your mobile phone. You can watch almost any show or movie completely free and with the subtitle support. We have already discussed how you can install terrarium tv on firestick. However, you may be looking for the best Terrarium TV alternative for various reasons. We will give you a list of the best apps you can use to complement or replace Terrarium TV. In itself, Terrarium TV doesn’t host or upload any videos, films or media files, and neither most of its alternatives. To work, the app aggregates media sources from streaming websites all over the internet to bring them in an organized, easy to use interface. Since most of these apps just scrape for content from third-party websites available through the regular browser, they have a stance regarding legality and copyright issues. They clearly state that “it is the responsibility of the user to avoid any actions that might violate the laws governing his/ her locality.” The apps are therefore used at the owner’s risk. We managed to get an exclusive 57% of IPVanish. Click here to save 57% on IPVanish now! Having taken care of your privacy and security, you can now check out the apps below. Note that each one of them has their strengths as well as weaknesses. Despite being one of the most recent apps, Stremio comes out on top of our preferences, which we consider to be currently the Best Alternatives to Terrarium TV. Using a simple, intuitive and efficient interface, Stremio, brings you the best of 2 emblematic applications – Kodi and Plex. If on the one hand allows you to view paid and quality content, on the other, it offers you free alternatives for much of the same content with the same quality, thanks to the possibility of installation and use of Third Party Addons (community addons). Note that the treaming is done via Torrent sites, so the use of a VPN, it is highly recommended. ShowBox also comes top as our best alternatives to Terrarium TV. Unlike Terrarium TV, ShowBox uses torrents to bring HD content to you. You get to choose the quality you want from various sources, and also choose to download rather than watch. ShowBox also supports Chromecast, for those who would like to use the app on a bigger screen. Though it can’t be downloaded from the Play Store, you can download its apk and install it without much hustle. 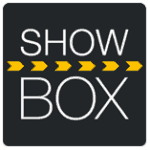 ShowBox is available for both Android and iOS. If you are looking for the best Terrarium TV alternatives because the app doesn’t support iOS, here is another app for you. With support for both Android and iOS, you can enjoy the app’s compatibility to stream movies and TV shows from various devices. The app is similar to ShowBox, though with a completely different theme. PlayBox HD supports Google Chromecast to let you cast your videos to the TV. The app also includes a Kids Mode feature to restrict your kids from accessing sensitive content. Popcorn Time is one of the most compatible alternatives to Terrarium TV. The app can be used on Android, iOS, Windows and even Linux. It relies on torrents to stream content and therefore operates much like ShowBox. Its compatibility, however, can make you choose it over ShowBox but since they are all free, why not have both! 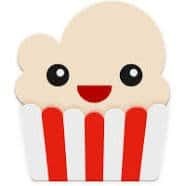 To stream videos, Popcorn Time downloads different parts of the video and saves them on the cache. These are then cleared when you turn off the device. Its smooth interface, as well as streaming, make it one of the Best Terrarium TV alternatives. Kodi is the most powerful and most popular media center used for home entertainment. Though the software itself doesn’t let you stream any videos, it is open source and supports third-party add-ons from many developers. These add-ons are the real power behind Kodi and though you have to know which ones to install and how you won’t regret it. There’s nothing you can’t watch for free with Kodi, making it a strong Terrarium TV alternative. The software is also super compatible and can be installed on Android, Android TVs, Windows, iOS, Mac OS X, Linux, Amazon Fire Stick, and Raspberry Pi. This makes it the most compatible Terrarium TV alternative. 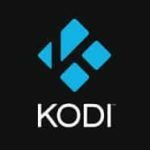 To know more about Kodi and its add-ons, you can check out our comprehensive Kodi guide. CinemaBox is another superb Terrarium TV alternative. The app brings you a wide variety of movies and TV shows and a chunk-load of features. CinemaBox is updated on a regular basis, and you can download or stream your favorite TV shows and movies with great ease. You can also cast CinemaBox videos to your Chromecast device and enjoy watching on the big screen. The app is also not available on play store, but it can be installed easily using the APK file. Simply known as Tubi, this is a completely free and legal Terrarium TV alternative. It is one of the oldest movie and TV show streaming services, having been launched in 2011. With Tubi TV android app, you can watch over 100 full-length movies and full episodes from over 50 TV shows. Though you may not find the biggest names like with the other apps, you still get to enjoy HD content, all legal and free. However, most of these content is restricted to the American regions. If you are in Europe and most other regions, you will need IPVanish once more! Terrarium might be one of the best movie and TV show apps, but it’s definitely not the only one. This list is intended to help you get the best Terrarium TV alternatives since we can’t all like the same thing. However, most free apps bring you content that can put you in trouble with the government and copyright agencies. The others that offer legal content have geo-restrictions to regulate the access of the content. In both cases, you will need a secure VPN that doesn’t compromise on your internet speeds. With IPVanish, you will have a solid VPN and the best one in the market. You can then enjoy streaming your favorite content using the above Terrarium TV alternatives. Click here to save 57% with IPVanish now! or visit our VPNs review post ! 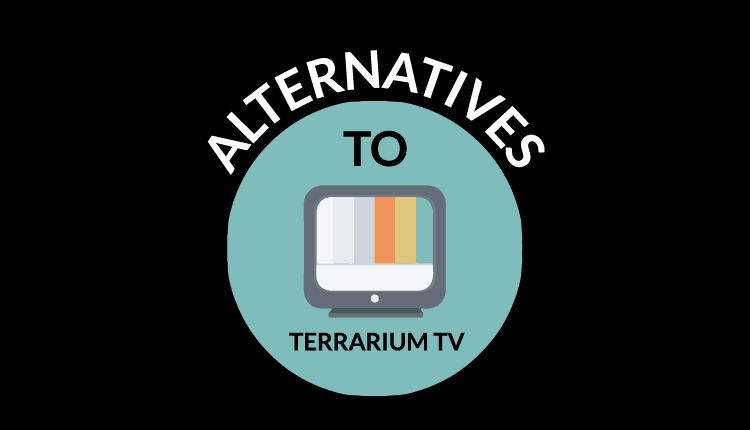 It is sad to hear that Terrarium TV is going to die, thanks for the post to let us know about best alternatives.